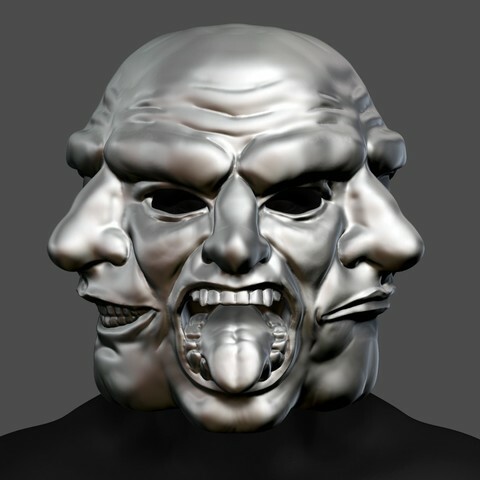 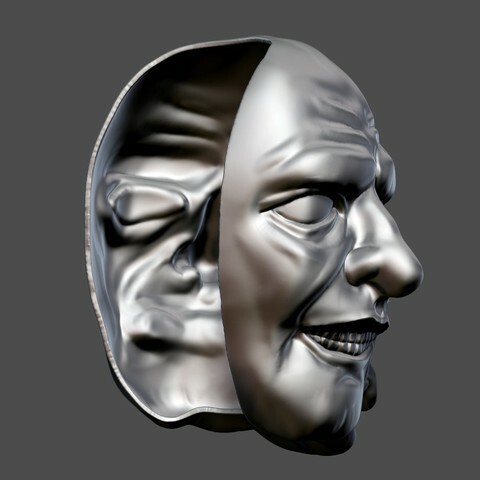 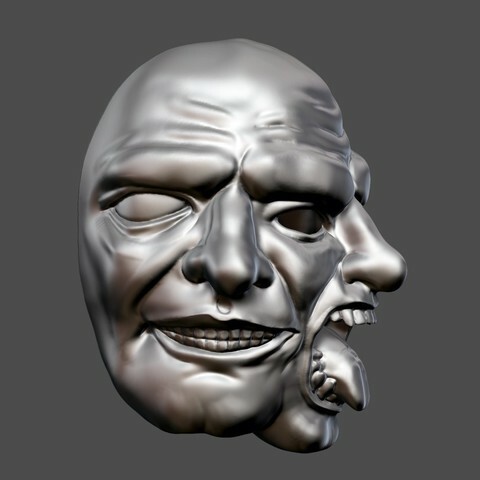 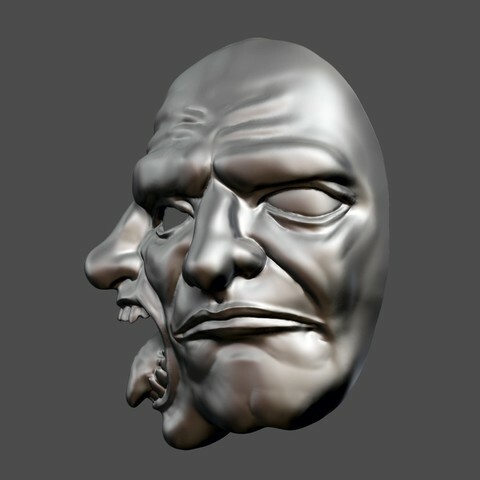 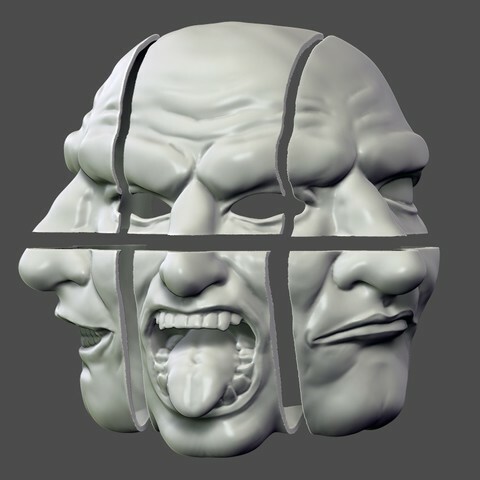 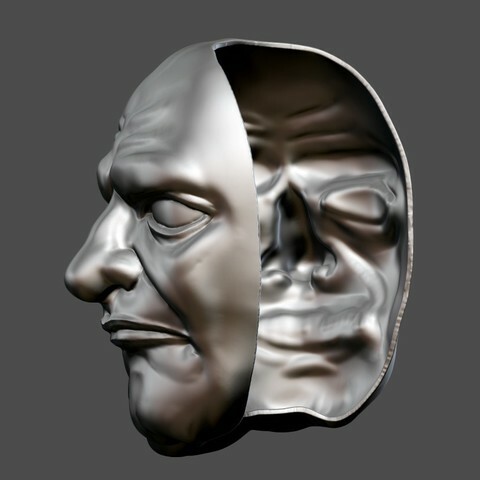 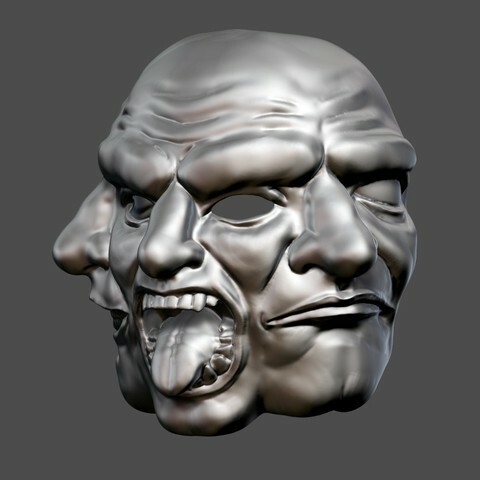 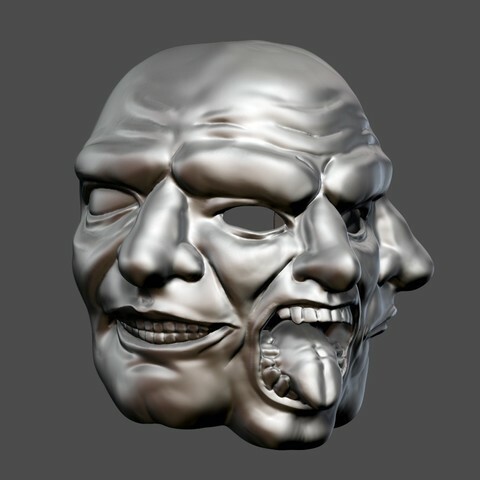 This three faces horror mask is to cosplay the heist Greek Tragedy role in the game Payday 2. 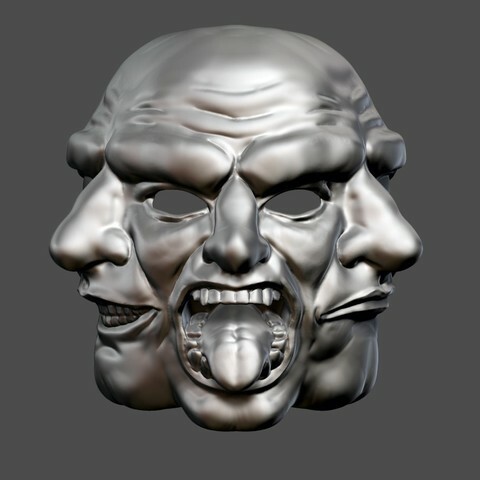 The Greek Tragedy Robber cosplay mask could be used at Halloween Party or Masquerade. 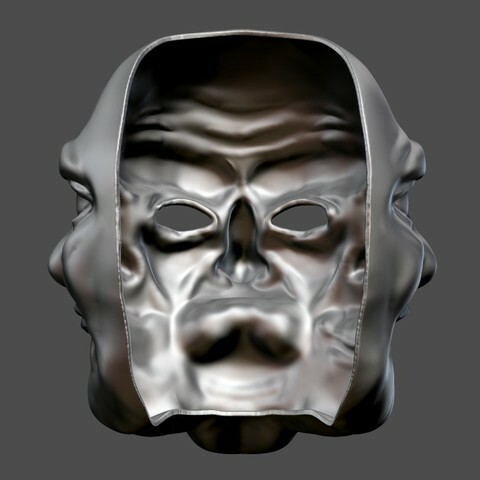 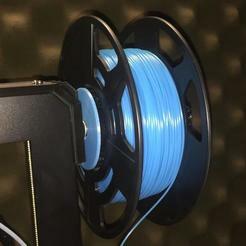 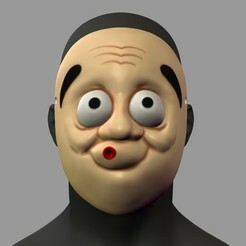 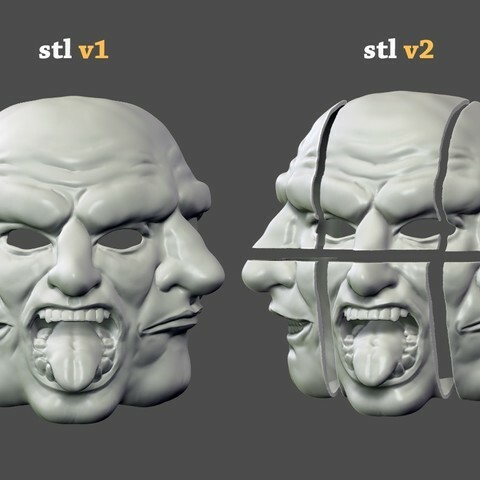 This is just the STL files to be able to print your own mask on a 3D printer. 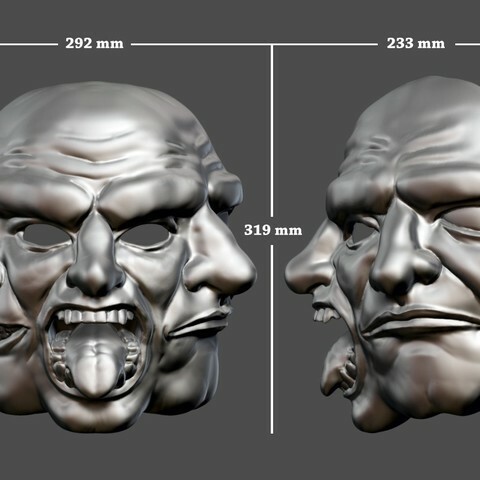 The mask is ~319mm high,~292mm width and ~233mm depth. 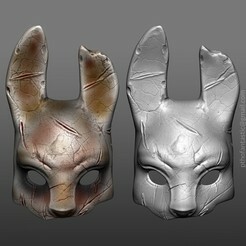 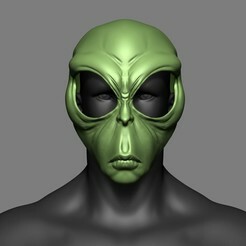 This mask can be scaled to fit smaller heads. 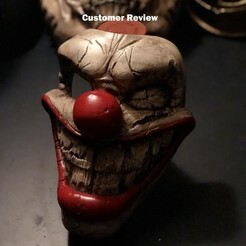 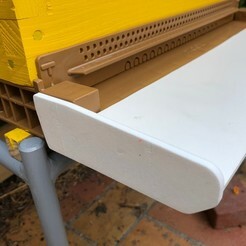 Please let me know if you want to split it into more pieces.